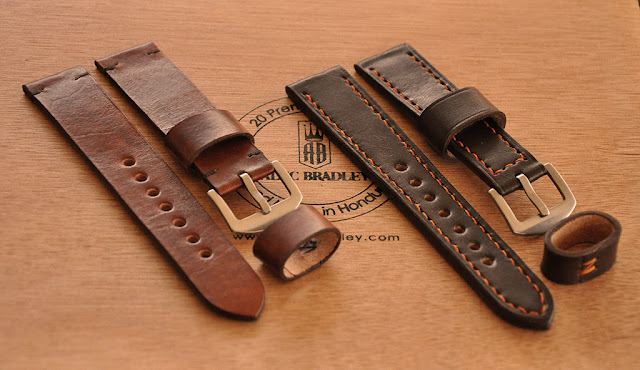 Here are two examples of possible leather straps for Rolex watches. These were made for Rolex Explorer II, the one on the left is 3mm thick cowhide, light brown with minimal stitching and the one on the right is 4mm thick cowhide with orange stitching to match the orange hand. 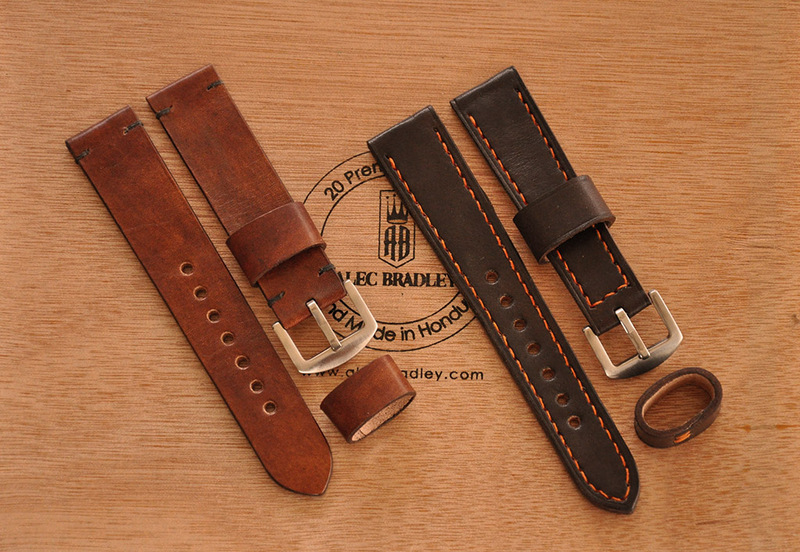 The strap has been narrowed down to 18mm in the buckle.